HA! For some reason Howard reminds me of Ned Ryerson from Groundhog Day. 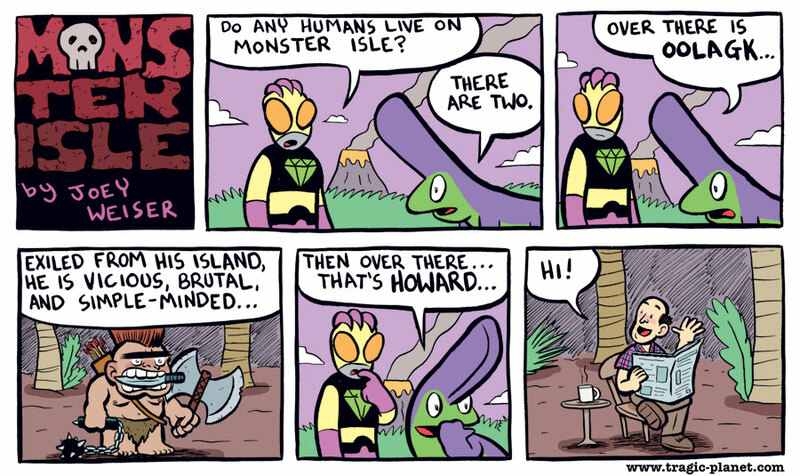 Howard seems pretty comfortable co-habiting the island with vicious barbarians and gigantic monsters. This strip needs more Howard! I went ahead and tagged Howard and Oolagk, so who knows… they may return!